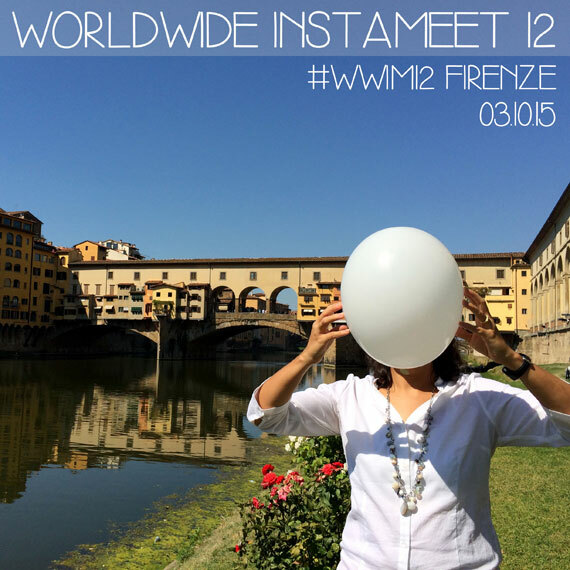 #wwim12firenze Instameet in Florence: Come Meet us! Blog / Events / Who’s Behind Our Fabulous Photos of Florence? Who’s Behind Our Fabulous Photos of Florence? To answer the question above: YOU! If you follow us on our Instagram accounts for Florence and Tuscany, then you get to see a lot of awesome views from all over our beloved city of the Renaissance (and of Tuscany)! If you don’t follow us yet, make sure to start following us at @visit_florence and @discovertuscany! 😉 While we share our own pictures of Florence and Tuscany, we also reshare photos everyone shares and tagged with #visitflorence and #discovertuscany. This Saturday, October 3, the Instagram community will have a worldwide “Instameet” (the 12th, to explain the hashtag a bit better): a chance to actually go out and meet others who post and share photos on the popular social photo platform. Because we love Florence and taking photos of the city, we will also be there! If you’re in Florence on this first Saturday of October, come and join us! You’ll meet our team as well as other locals who share their love of Florence with the rest of the world through their photos. Since we’re pushing the “social” side of this meetup, we’re using the tag #todayImet to seek out other wonderful people we might only know virtually up to now and make new friends. Then we’ll set off together to explore and discover new corners of the city. There are definitely many waiting to be explored. So where? Meet us at 3pm in Piazza Santa Maria Novella on October 3 for the #wwim12firenze! No sign-ups, no registrations needed – just show up! The Question: What’s Prato Italy?